The colors of these colanders really pop and might make washing produce a little more enjoyable. 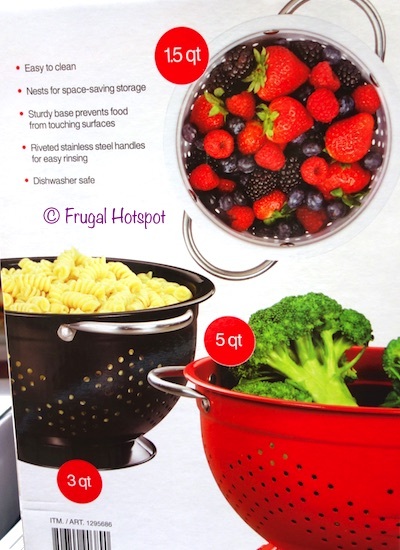 They have a sturdy base that prevents food from touching surfaces and riveted stainless steel handles for easy rinsing. Plus, they’re dishwasher safe and nest for easy storage. 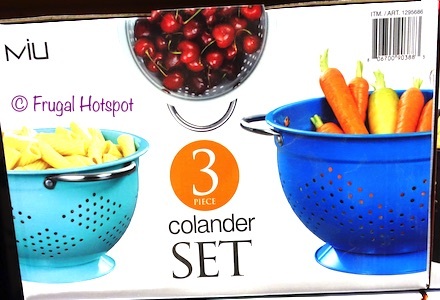 The Miu 3-Piece Colander Set can be found at select Costco locations for a limited time. 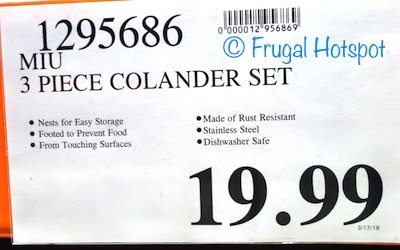 It’s priced at $19.99 at the Covington, Washington Costco. Your price and availability may vary. While supplies last. Item #1295686. Made with food safe powder coated steel.